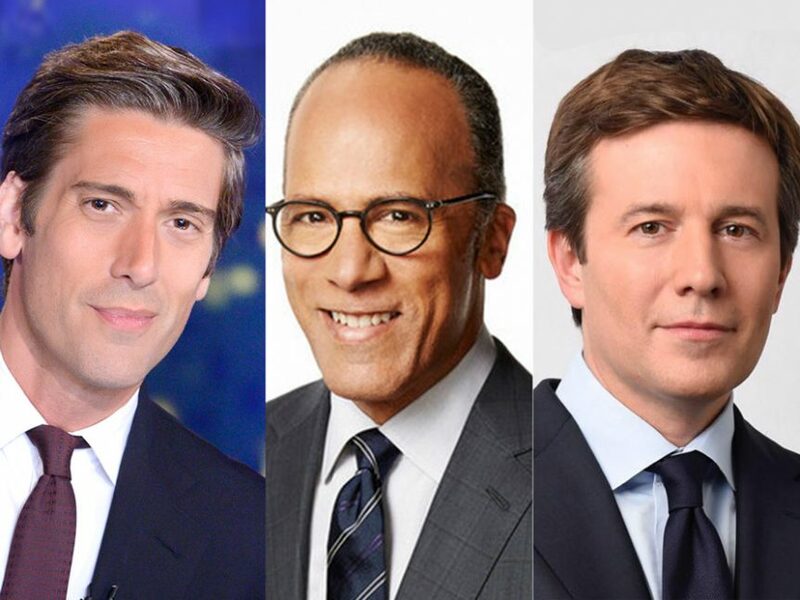 ABC’s World News Tonight with David Muir was the most-watched evening newscast last week in both total viewers and the younger demo last week. World News Tonight was also the only evening newscast to see growth in both measurements, vs. the same week last year. The ABC broadcast was up +10 percent in both viewers and the demo. Season to date, World News Tonight is seeing its largest viewership in 13 years – since the 2004-05 season. NBC Nightly News with Lester Holt was up +1 percent in viewers and down -1 percent in the demo. Season to date, Nightly is winning the demo with a 111,000 viewer lead on ABC. The CBS Evening News with Jeff Glor was down -5 percent in viewers and down -14 percent in the demo compared to the same week last year.